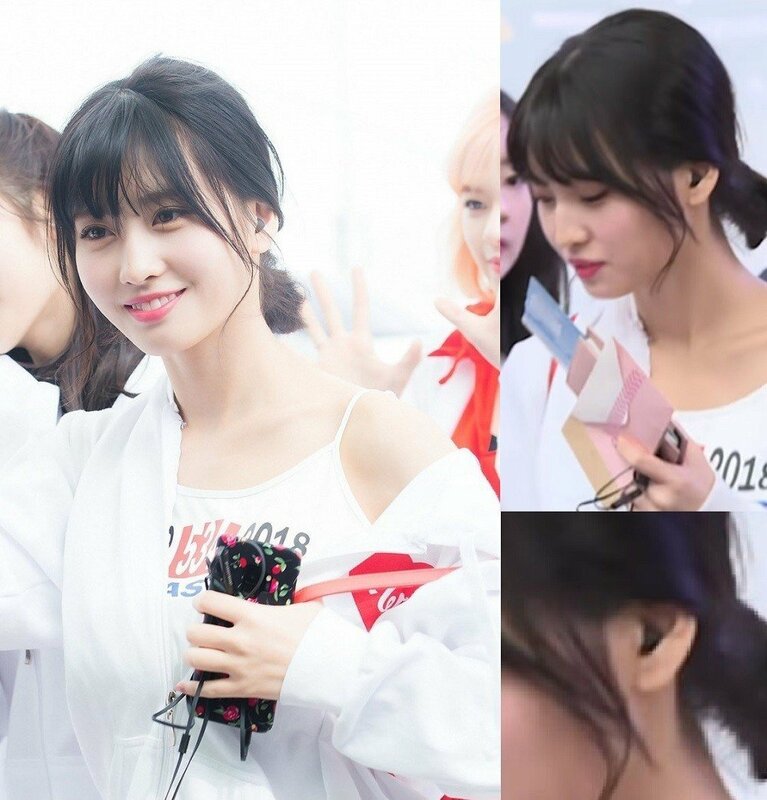 TWICE's Momo is caught unknowingly wearing a detached earplug protector! Momo waved to fans with an earplug protector in one ear! Earlier this week, media outlets caught TWICE leaving the ICN airport as per usual. But, one interesting thing that caught the eyes of Once, was that there was something strange stuck inside Momo's ear! When one netizen zoomed in to see what that "dark matter" was, it turned out that the object was the soft silicon protector from her headphones, which had detached in Momo's ear. Also, it was just one earplug that became detached, making Momo's unawareness of it even more odd! Fans did say that Momo was also especially perky on this day, which made her even cuter. Some comments read, "Momo, did you really not feel anything in that one ear? Kekeke", "OMG, Momo's cuteness explodes, even in realistic situations such as these! ", and more. What's even funnier is that, somehow Momo found out that fans were pointing out the earplug situation, so when she returned to the same airport a few days later, she purposely showed off the earplugs with the cap properly back on it! How cute!